Opening night coincides with our area's ARTWALK. Join us for another exciting and eclectic celebration of life! Dia de los muertos (Day of the Dead) is a modern holiday with pre-Hispanic and Catholic influences. 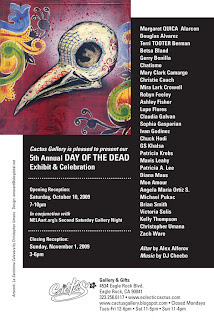 Day of the Dead participants pay homage to the dead and indulge in festive celebrations of life and its aftermath. Traditionally, altars are built commemorating people, animals or events of significance. Altars include flowers, photos, toys, mementos, letters, candles and offerings of food and alcohol. This is done to entice the dead and assure their souls actually return to take part in the remembrance. Dress in your favorite Day of the Dead attire! No se lo pierdan!!! Tequilasos pa' los vivos. the arts that dates back to the early 1900's when the USC College of Fine Arts was located in Highland Park and characters like Charles Lummis and Antonio Corsi were living in the area. The tradition continues with new spaces opening regularly. 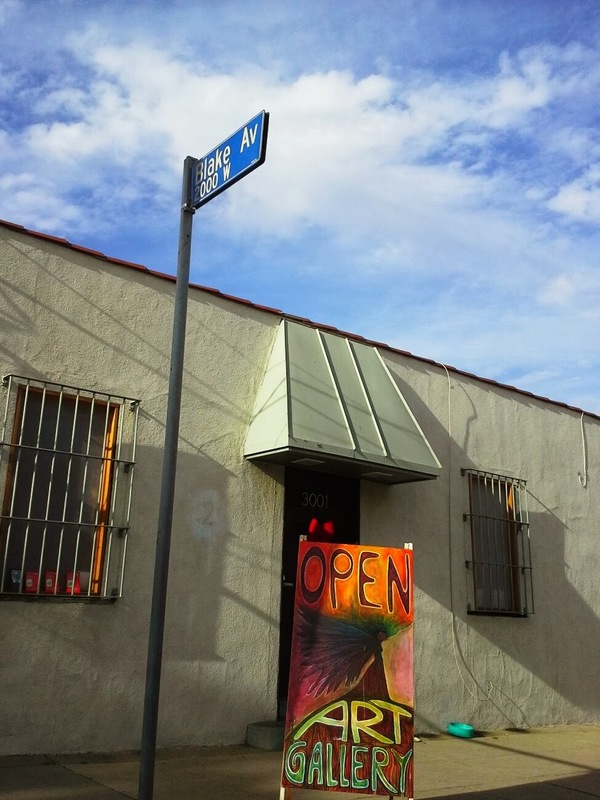 NELA is now one of L.A.'s most exciting destinations to view contemporary art. This December marks our 4th year! !